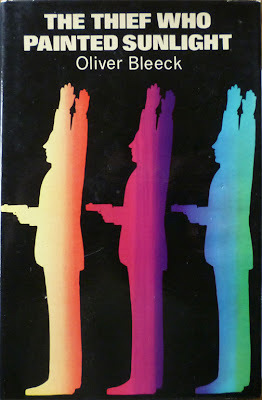 A UK hardback first edition of The Thief Who Painted Sunlight, published by Hodder & Stoughton in 1972? The answer, my friends, and as the more astute among you will already have discerned from one of the parenthetical asides in the title of this post, is that after its US William Morrow debut earlier that same year, The Procane Chronicle was subsequently published here in the UK under a different, rather more allusive name. Many people are successful. Abner Procane, for one, was remarkably so; he was a very successful thief. One of the reasons was that he took money only from people who didn't like to admit they had it in the first place, and were too shy to tell the police about it when it was gone. Abner Procane lived well, prospered, and had all the nice things you expect people with a certain amount of money and taste to have. On Sundays he painted, rural scenes and suchlike, and if you liked that sort of thing you could say that he caught the sunlight pretty well. His one conceit was to keep a diary that recorded, with picturesque precision, the details of the jobs that had made him rich. And his last ambition was to pull a million-dollar heist before he retired. That was when some smart villain stole the diary and offered to sell it back for 100,000 dollars, and that was when Philip St. Ives was called in to act as go-between. What followed wasn't easy; it wasn't civilised. Mr. Procane wouldn't have used the word, but it was smelly. There were killings, a lot of them. There were hard-nosed cops. And there was heroin. St. Ives didn't like it one little bit but the way he was fixed he couldn't get out. Besides, who wanted to miss out on the crime of the decade? So if anyone reading this post has a copy of the Morrow edition, perhaps they can enlighten me as to who designed the jacket. 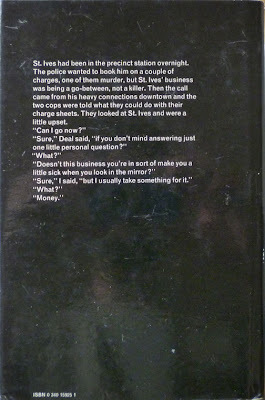 And something else the American first edition cover revealed once I'd tracked it down was the running order of the St. Ives novels. 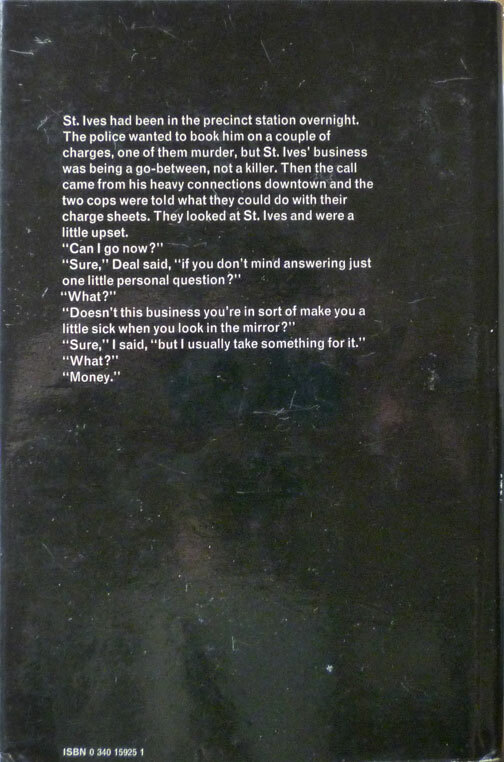 Right there under the title it clearly states "A novel by the author of PROTOCOL FOR A KIDNAPPING". So Procane/Thief is indeed the third St. Ives book, not the second – a publishing history that's since been confirmed by Book Glutton – who's read all the Bleecks – in a comment on the previous post. 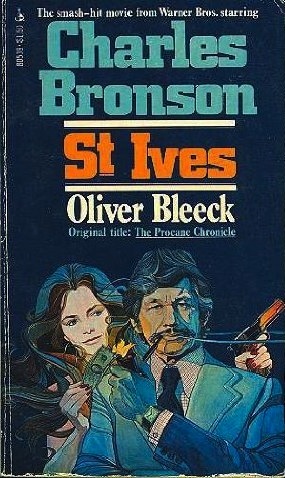 And actually, on the dustjacket back flap of The Thief Who Painted Sunlight, both The Brass Go-Between and Protocol for a Kidnapping are listed under "Other thrillers by Oliver Bleeck". So I probably could've worked it out just by looking at my own copy. Harumph. What was that about "research"...? The St. Ives series was my introduction to Ross Thomas. They--there are five of them, if I remember correctly--are all very fine novels. St. Ives is the typical Thomas hero: cynical, basically moral but not above cheating for the right cause, world travelled and politically savvy. I would say the St. Ives titles are in the mid-range quality of Thomas' work. 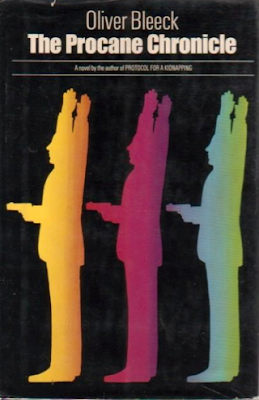 Not quite up there with the Wu-Durant series, or Thomas' masterpiece: The Fools In Town Are On Our Side. But they read nicely along the Padillo-McCorkle books. The film St. Ives: Bronson didn't really fit as a suave, witty, intelligent ex-writer working as a Go-Between to pay his child support. He wore the Sportcoat with the leather elbow patches and the black Turtleneck and even smokes a pipe, but somehow he can't quite pull it off. This may be the only film in where Bronson's response to two mugger/assailants is to hand over his wallet and run;-) lol He just doesn't fit my idea of St. Ives. Maybe Paul Newman or Jack Lemmon could have pulled it off. McQueen, probably. But then I'd pay to watch McQueen read the phone book. Reportedly Bronson told Thomas upon meeting on the set: "I haven't read any of your books." To which Thomas replied: "That's OK. I haven't seen any of your movies." 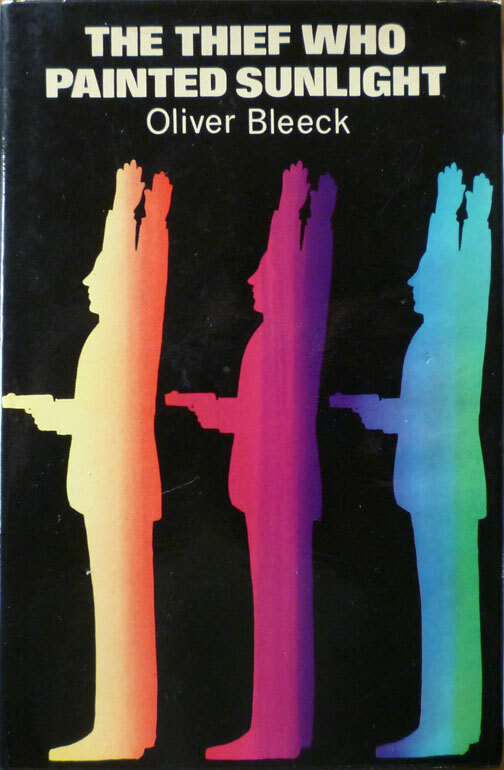 I've read the first Bleeck novel, The Brass Go-Between, which I liked just fine. You should be able to find my review of it if you use the search box – and my reviews of Chinaman's Chance and The Fools in Town, which, as you say, are among Thomas's best books.